Michael Palin's Sahara - Audio edition is 'true first'? After the astronomical prices reached by first editions of the Harry Potter novels, hyper-modern dealers and collectors - always on the look out for next big thing - may well be charting the course of The Voyage of the Arctic Tern by Hugh Montgomery. The story, told in verse that is perfectly accompanied on each page by the haunting and atmospheric illustrations of Nick Poullis, follows the adventures of the ship Arctic Tern and its ghostly skipper Bruno who must sail the high seas making amends for his misdeeds in life. The book's progress into print is almost as tall as the tale it tells. After rejection by the publishing world it was self-published, costing the author, Hugh Montgomery, two years and a reputed £40,000. The Voyage of the Arctic Tern went on to win Book of the Year and Poetry Book Of The Year at the David St.John Thomas Charitable Trust Self Publishing Awards for 2000. 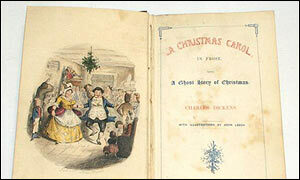 The first print run of 2,000 books was sold to friends and relatives and by word of mouth - only 8 bookshops stocked it. It was reprinted by Walker books in June this year to rave reviews, and has taken flight as rumours of Harry Potter size sums are linked to the sale of film rights. Monty Python star-turned-travel writer Michael Palin is to be the first British author to release a new work as a talking book before it comes out in print. Palin has published Sahara, which recounts his travels across the Sahara Desert, as an unabridged talking book at the end of August. The hardbacked version will not be available until later in September. Booksellers are currently finding themselves the victims of fraudulent credit card transactions. A spate of orders appearing to emanate from the former Yugoslavia has been used to attempt to 'buy' over $100,000 worth of books rom different book dealers with stolen credit card numbers. In some cases the person or persons have succeeded in defrauding booksellers for thousands of dollars. The situation has become so serious that the Antiquarian Bookdealers Association of America has warned all members to avoid selling books to the former Yugoslavia and other Eastern Block countries. The fraudulent orders are usually for high value books - and must surely lead to speculation about a 'black market' in hyper-modern first editions and antiquarian books. Is this the new currency of criminals? Antonia Forest’s writing career spans more than 30 years with 13 books written between 1948 and 1982. There are 4 school stories (the genre with which she is most associated) and 6 home stories which make up the series about the Marlows; a pair of historical novels which follow a Marlow ancestor’s apprenticeship to Shakespeare; and a stand alone book written for a competition about a family in Hampstead. 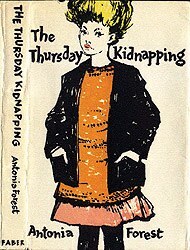 Her first book, Autumn Term, was published by Faber in 1948. She says that this was written as a deliberate attempt to find a publisher, but although the intent may have been formulaic, the result is far from unoriginal. The book starts with Nicola and Lawrie Marlow heading off to Kingscote with their elder sisters, anxious to echo their successes, and if possible, surpass them. One does not have to be well versed in school stories to discover that all does not go to plan. Where Miss Forest differs from most other authors in this genre is that the plan never gets back on track. The twins end the book with their own victory, but academic, sporting and guiding achievements have been necessarily shelved. The Marlow sisters’ existence at school was followed by End of Term (1959), Cricket Term (1974) and Attic Term (1976). The wide gap between Autumn Term and Attic Term leads to strange chronology in the books. Although Nicola, 12 years old in 1948, only ages 2 years between then and Attic Term in 1976, the outside world has changed dramatically. One father warns against getting involved with drugs, and the fashions are distinctly 1970s. Despite that, the plots and background remain consistent throughout, with the characters seeming to fit in at any time. The Marlows and the Traitor (1953), Falconer’s Lure (1957), Peter’s Room (1961), The Thuggery Affair (1965), The Ready-Made Family (1967) and Run Away Home (1982) fill in the gaps left by the school stories, although many readers don’t get to read this part of the story, as the other Marlow books are far harder to find. These stories, although here dealt with as a group, are nothing if not varied in their subject matter. Falconer’s Lure is subtitled “The story of a summer holiday”, and depicts falconry, horse riding, swimming and sailing, while Peter’s Room has a Bronte theme, with the children becoming entrancing with their game of Gondal. The school stories are the easiest books to find, all four were reprinted as Puffins, and Autumn Term was republished by Faber in 2000. Paperbacks of the holiday stories often sell for between £20 and £30 pounds, and even ex-library hardbacks can fetch over £100. Perhaps the hardest of these to find is The Marlows and the Traitor despite being published in paperback at least once, followed by Falconer’s Lure and Run Away Home, both of which were only published in hardback, as were the two historical books and The Thursday Kidnapping. 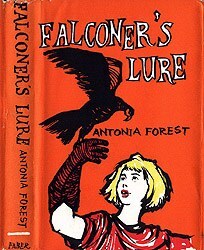 Girls Gone by Press (http://www.rockterrace.demon.co.uk/GGBP/titles.htm) are republishing Antonia Forest’s books, beginning with Falconer’s Lure, due out at the end of this year. Each book will contain a new foreword by Miss Forest, all original illustrations and the unabridged text. Thieves have escaped with three first editions of Charles Dickens' A Christmas Carol in a daylight raid on a London museum. The books were stolen as visitors looked around the Dickens House Museum during opening hours on Thursday, 15 August and it is estimated that they are each worth between £20,000 and £30,000. The museum is at 48 Doughty Street, Bloomsbury, where Dickens lived from 1837 to 1839. During his time there he worked on The Pickwick Papers, his first full-length novel, and Oliver Twist. The museum houses various other exhibits including the hall clock from Dickens's last home, Gad's Hill Place and family portraits. Now owned by the Dickens Fellowship, it also contains many of his letters and his velvet-topped desk. In October 2002 Philip Lund Theological Books will provide the featured article.